Every individual is normal and may be troubled by some abnormal psychological difficulties. Nepal Hypnosis Clinic and Training Center uses psychotherapeutic interventions to improve mental health and wellbeing, making it possible for you to achieve higher in your personal and professional lives. Nepal Hypnosis uses psychotherapeutic intervention to identify and eliminate the causes of the issues (e.g. depression, anxiety, fear, phobia, anger, relationship, OCD, low self-esteem and more) that an individual is troubled by. Each individual is different and has unique necessities. Hence, we use eclectic therapy, i.e. using multiple approaches to address clients' needs. 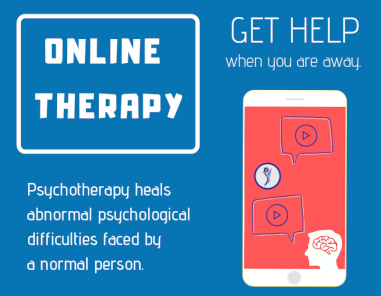 Clinical Hypnotherapy, Gestalt Psychotherapy, Psychosocial Counseling, Healing Touch, Past Life Regression, CBT and NLP are among the therapies we perform. You do not have to bear all alone. It is OKAY to ask for HELP. A practical orientation is the highlight of the training programs offered by Nepal Hypnosis. Most of our courses are conducted in a workshop model, where you will learn the theoretical foundations and on the top of that will actually practice the learning and apply them in real-life situations. We are the pioneer institution implementing the blended learning approach. Our trainers are highly qualified and well experienced. In our training programs, you will get rare opportunities to be benefited from the practical insights of our trainers. We offer professional and self-help courses. Are you willing to build your career in Mental Health services? Or, are you already in the field of psychology and would like to build a new skill? We have following training programs for you. Do you want to help yourself to strengthen your physical, mental, emotional, and spiritual well-being, and achieve higher in your personal and professional lives? Nepal Hypnosis offers bespoke training programs for your organization that perfectly meet your needs. We can support you in boosting productivity, charging-up teams, enhancing mindfulness, group relaxation, spiritual retreat, and managing work stress. Get help when you are away. Nepal Hypnosis Provides Online Therapy. 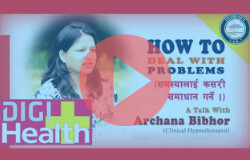 Interview with Psychotherapist and Trainer Archana Bibhor taken by a Norway based Channel. A guided hypnotic session in Nepali takes you in a deep hypnotic state and gives a positive suggestion. It might not always be possible to change situation. Fortunately we can change our reactions. 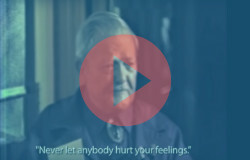 Life lessons from Milton H. Erickson, who is widely regarded as the father of modern hypnotherapy.